Pat the brown shrimp dry, then place in a bowl and mix with the anchovy essence, lemon zest and juice. Stir in the mixed herbs, melted butter and season to taste with nutmeg, salt and pepper, mix well. Divide the shrimp mixture into 4 small kilner and press down tightly. Allow to set in the fridge over night. 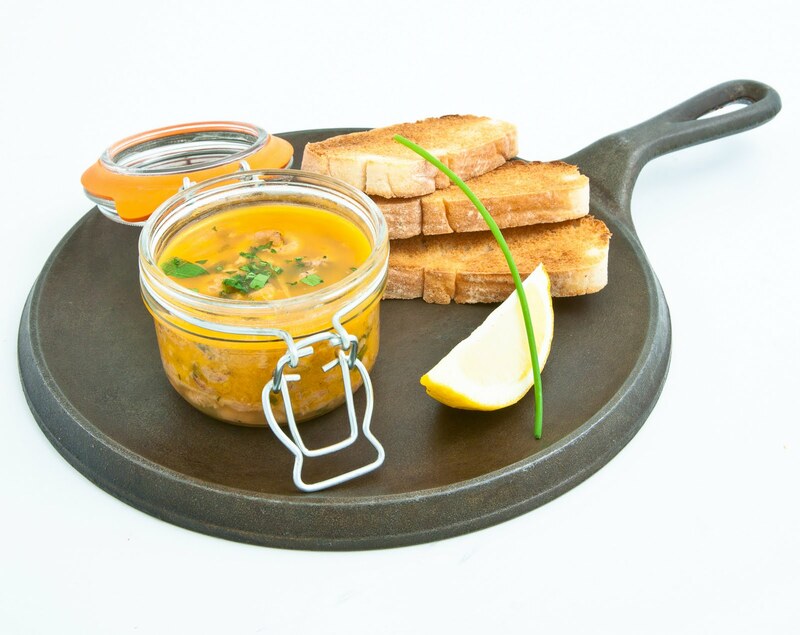 To serve:- remove the potted shrimp at least 15 minutes before serving to soften the butter. Place the sour dough toast slices under the grill and toast on both sides until golden.